Virginia State Police have arrested a 50-year-old man from West Virginia in the suspected murder of a Loudoun County business owner who was shot and killed Sunday morning. 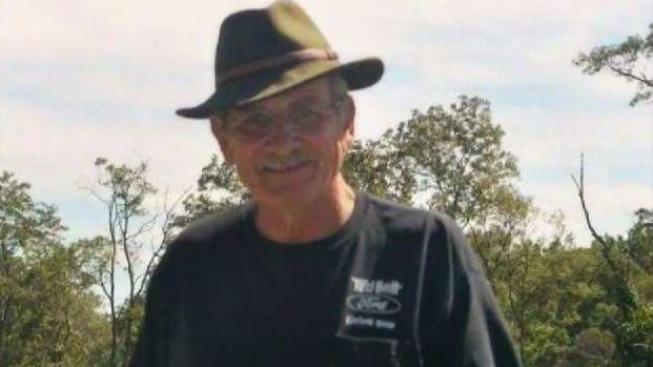 Dale Lee Wright, of Charles Town, West Virginia, was arrested Wednesday, and charged with first degree murder in the death of Jeffrey B. Evans, 72, of Bluemont, Virginia, police said. Police said they obtained warrants in Clarke County, Virginia, and are waiting for Wright to be extradited from West Virginia. They also charged Wright with use of a firearm in commission of a felony and possession of a firearm by a convicted felon. Wright was identified as the man who Evans met in a gravel lot near the Loudoun County line on Sunday, police said. The two allegedly met at about 11:15 a.m. for a prearranged business transaction. Police previously said Evans drove to the lot on Castleman Road off Route 7 in Clarke County near the Shenandoah River where witnesses say they saw a man standing near his pickup truck. Minutes later, Evans was shot in the head and chest, police said. After he was shot, Evans was able to drive away from the lot, but crashed into an embankment at the intersection of Castleman Road and Route 7 at about 11:14 a.m. Witnesses said they saw a man run across Route 7 to Evans' car and then flee. Police said Evans died at the scene. His remains were taken to the Office of the Medical Examiner in Manassas. Police said an investigation remains ongoing and that West Virginia State Police, Pennsylvania State Police, Tennessee Highway Patrol and the Clarke County Sheriff's Office have assisted in the investigation. Friends of the victim said they remember him as a kind person. Melissa Reddy and Susan Carter, who knew Evans, stopped by the scene Tuesday to pay respects. “We’re in shock and we just wanted to be here because he was just such a great person,” Reddy said. She and Carter said they first met Evans as clients of his auto service shop in Aldie, but they soon became friends. “I just can’t even imagine who would want to do this to him,” Carter said.